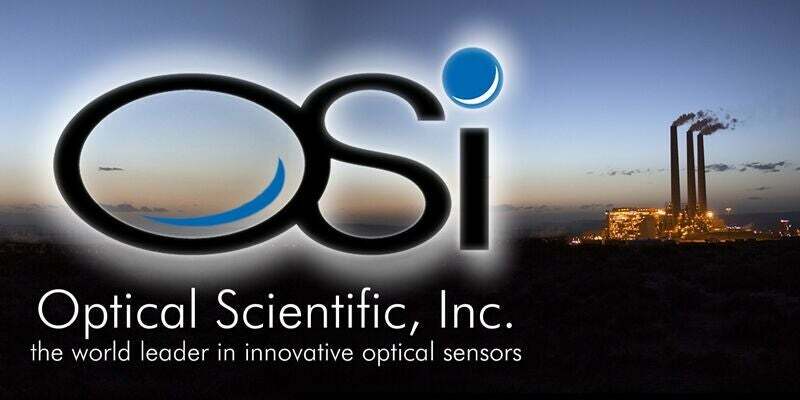 Founded in 1985, Optical Scientific Incorporated (OSI) has been a leader in the design, production and installation of remote sensing optical flow measuring systems, environmental sensors and weather-monitoring sensors and systems. OSI’s instruments and systems work reliably and continuously in unattended field and factory operations, often in critical areas such as power plants, petrochemical refineries, airports, along highways and railroads, in rainforests, on data buoys in the middle of oceans, and even in the Antarctic. OSI provides products and services encompassing a wide range of remote sensing technology, which include opto-electronic instrumentation, flow instrumentation, environmental sensors, automated weather stations, data acquisition systems, and satellite ground stations. OSI has customers in more than 25 countries including the US, Europe, Asia, Africa, South America, and Australia. Environmental differences, government regulations, seasonal changes, and customers who may be unfamiliar with using innovative technology are all challenges OSI deals with constantly. Our broad and extensive experiences allows us fully define and meet customer needs. OSI’s patented Optical Flow Sensor (OFS) makes drift-free measurements across the entire stack, duct or pipe diameter and calculates an accurate average flow velocity reading. The optical scintillation technique relies on advanced Digital Signal Processing (DSP) electronics to ‘see’ and measure the movement of turbulence found in a gaseous flow stream, to provide highly accurate, path-averaged air velocity measurements. The OFS-2000 is a patented, advanced, continuous flow measuring system for large and small stacks or ducts. It consists of an optical transmitter, an optical receiver and a control panel that are easily installed on opposite sides of a smokestack, duct, vent or other confined space. The instrument is isolated from the air or flue gas flow. This non-contacting method results in greatly-reduced maintenance requirements over traditional flow sensors and allows operation in high temperatures and caustic flow media. The optical scintillation technique measures the movement of turbulence found in flow streams, which provides a highly accurate path-averaged air-velocity measurement without obstructing or altering the flow. OSI’s Long-baseline Optical Anemometer (LOA) measures path-integrated crosswinds and turbulence using atmospheric turbulence-induced optical scintillation of an infrared light beam. The long baseline optical anemometer measures path-averaged crosswinds through an optical path from less than 100ms to longer than 10km. The optical anemometer provides real-time continuous measurement of crosswinds. In addition to open air applications, the LOA is ideal for non-contact measurement of the low velocity, spatially averaged airflow through the roof vents. EPA has approved the LOA for Method 14 equivalency for aluminum smelter monitoring. The OWI-430 DSP-WIVIS is the most advanced present weather and visibility sensor ever made. The fully-automated instrument provides accurate visibility, present weather and precipitation measurement in a single sensor. This next generation intelligent sensor uses all Digital Signal Processing (DSP) for no-drift high-accuracy results. Combined with the optional HIP-100 Hail and Ice Pellet add-on, the DSP-WIVIS provide complete and accurate identification and measurement of all types of precipitation. OSI has fielded thousands of its present weather sensors in airports, petrochemical facilities, offshore drilling platforms and a host of harsh environments. Optical Scientific Inc (OSI) has announced developments made to its advanced line of optical flow sensors (OFS). Optical Scientific's (OSi) patented optical flow sensor (OFS) makes drift-free measurements across the entire stack, duct or pipe diameter and calculates an accurate average flow reading. Optical Scientific has released a free white paper about its patented OFS 2000 emissions/air flow sensor, on the Power Technology website. OSI has completed proof-of-concept tests on a laser-based level sensor. This new instrument will offer increased accuracy in measuring content levels in silos, storage tanks, grain elevators - wherever precision metering of large-quantity materials or consumables is required. Optical Scientific (OSi) has announced the introduction of the OWI-650 / LP-WIVISTM, the world's most advanced present weather/visibility sensor targeted for low power applications. Optical Scientific (OSi) has announced that complete professional automated weather stations (AWS) are now available factory-direct from OSi.